Yesterday I saw Dr Leland Carrol, he is a chiropractic Kinesiologist He has studied extensively to learn alternative healing techniques to help patients with their individual needs. My only and I say that in jest, problems are muscle, joint and tendon pain in my legs. I will share the regimen that he has suggested to me. I am NOT a doctor, these are just what I am trying. A lot of what I will be eating and taking are to remove as much as the toxin as I can. He suggested that I eat 1 cup of mixed brussel sprouts and broccoli and 1 whole red beet everyday. These should be steamed and the red beet should be steamed whole. It is the "red" in the beet that is supposed to thin the bile from the liver that can become thicker after Cipro poisoning. In addition to those veggies I am "drinking" Green Vibrance. It has 25 billion probiotics per dose. It is also used for detoxification. I am taking 3-4 Magnesium Malate (1250mg) per day, 2000mg of Vitamin C per day, 1 tablet 4 times a day on an empty stomach (be sure to eventually wean yourself down to a normal dose if you take this much Vitamin C). Bromelain, 2 capsules, 4 times a day between meals. Fibrozym, 3 tablets in the morning. Vitamin D and Calcium. These are all in addition to my "regular" everyday vitamins! By the time I am through sucking down all of these pills and eating those veggies, I think I might just explode! He also suggested epsom salt baths and light massage. Movement , especially in a pool, and to not push to the point of damage. He also pressed on tendon connections and did something like spreading the muscle tissue. None of this was painful. Today is day 12, since the side effects began. Last night was the first night that I did not wake up in the middle of the night an hour or two BEFORE I could take Ibuprofen. I actually woke up one hour AFTER I was supposed to take it. I am taking 600mg every 6 hours. My "other" Dr. recommended that as it IS an anti-inflammatory. It helps me tremendously. I seem to be moving a bit faster, at the moment! Hoping for a good day. Almost one year ago I suffered from a ruptured tendon in my foot. 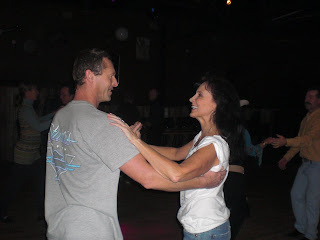 I danced 3-6 times a week and thought that it was really odd that I injured my foot dancing, but because I was dancing when the injury occurred, I figured that that must be the cause. In light of my new Cipro poisoning, leg muscle, tendon and joint pain, I called my doctor and confirmed that I was actually taking Cipro at the time of the tendon rupture. I stared taking it on May 31, 2009 and the injury occurred on June 3, 2009. I never put 2 and 2 together until now. The injury lasted 8 months. I was able to dance pain free for 5 weeks before my current condition. I now just pray that someday I will be able to dance again. Walking would be good, too! I am writing this article based on my own personal experience. I am hoping to bring awareness of the side effects of the antibiotic Cipro or Ciprofloxin. I understand that Levoquin and Avelox have the same side effects. I will preface this article with the knowledge that I have been dancing regularly, 4-5 times a week for 3 years and that dancing is not a new activity for me. On April 16th, 2010 I started taking Cipro for a bladder infection. On April 17th, 2010 we taught a 4 1/2 hour dance workshop, something we do every other weekend. On April 18th, 2010 I could barely walk. Upon getting out of bed, my feet felt as though I were walking on razor blades and the joints, muscles and tendon in my legs were in excruciating pain. As the day progressed, the pain remained and I was puzzled as to how the workshop could possibly be responsible for my inability to walk. I continued taking Cipro. On April 19th, 2010 I awoke with the same pain, plus additional hip pain. I just kept thinking that something was really odd and that this leg pain could not possibly be from dancing. That evening I started getting sharp, stabbing pains in my left leg. I began to wonder if I could possibly have a blood clot, so I went to the internet to look up the side effects of Cipro. While I was pleased to realize I didn't have a blood clot, I was appalled that my muscle, joint and tendon pain was a side effect of Cipro. I stopped taking the drug immediately and contacted my doctor and two pharmacists. My doctor was shocked and claims he has never seen this side effect and offers no management, treatment or prognosis. The pharmacists are more aware but have a "it might get better, it might not " attitude. After hours of research I have found that Cipro has landed many in wheelchairs and walking with canes. It can hit your body while taking it or months later. For some it seems that the side effects reverse themselves as soon as the medication is out of their bodies, for others the suffering lingers for years. You can develop symptoms months after you stop taking the drug. If you have or have had unexplained muscle, joint and tendon pain, or ruptured tendons or been diagnosed with fibromyalgia or rheumatoid arthritis and have taken Cipro, be sure to alert your Dr. and never take it again. I believe that the percentage of incidences that the drug companies report are way understated. It occurred to me, after this episode, that one year ago I suffered from a popped tendon in my right foot. It took 7 months for that injury to heal. I confirmed the dates and sure enough, I was on Cipro when the injury occurred. I never put 2 and 2 together to make the correlation of the injury as a side effect to the antibiotic. I now know differently and have reported my side effects to the drug manufacturer and the FDA.